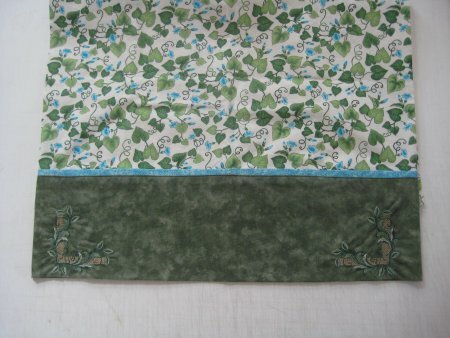 One of the items on my long-time UFO (UnFinished Objects)List has been to make pillowcases. They've been languishing there; they are so simple to do, I tend to just put them off. 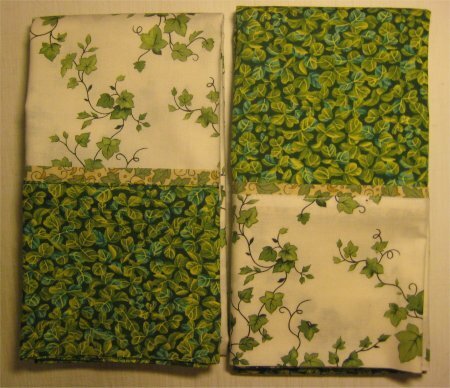 But, I was at a convenient breakpoint from making quilts, so I decided to get this item done. I follow my own practically perfect directions :-) (which are freely available as a PDF) And just why they are Practically Perfect? The accent strip is a separate piece of fabric, allowing you to coordinate it with the body and the bottom band. I've used directions that use a tuck for a faux accent strip. That works, of course, but I like the accent strip to be noticeable. I have been taught to make the inside/reverse of something as beautiful as the outside (or as nearly as I can). It's a matter of pride in one's work. Yes, it does take a little longer, but the result is a finished item that you can be proud of. You never look at it and say that you should have done it better. Therefore, I use French seams on my pillowcases. There's no trick technique or fancy smoke-and-mirror procedure. It's all just basic sewing. Because the pillowcase band is essentially a solid fabric, I decided to embellish it with some machine embroidery. The motif I chose is a sample from the very talented Sadia Andrews. This sample is available from her Yahoo group "Sadia's Designs" in the 2007 Free Sample file. Sadia's designs are simply superb; they are beautifully digitized and stitch out wonderfully. 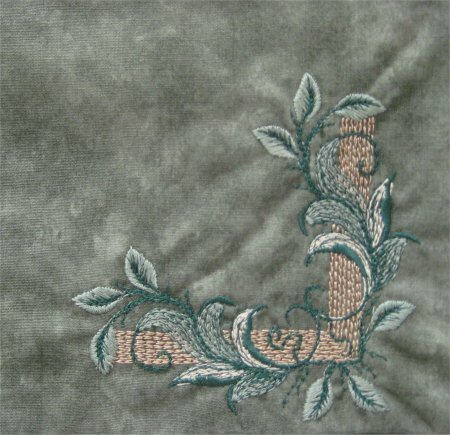 The other two pillowcases don't have embroidery embellishments, as the fabrics I used are much too busy to showcase anything.